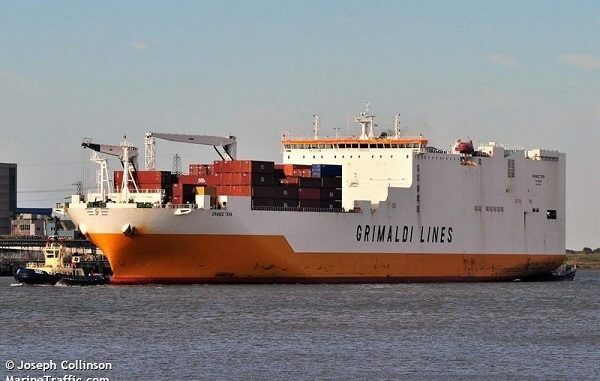 Four stowaways, who threatened the crew of the an Italian cargo ship with armed bars, have been detained after a successful assault was conducted by the British Special Forces in December 2018. The 71,543-ton Ro-Ro Container Carrier “Grande Tema” (top photo) had previously left Lagos in Nigeria, with a cargo that included cars and was en-route to the UK. However, during the sailing, the crew discovered four stowaways on board and then locked them in a cabin after detaining them. During Friday 19th December, the stowaways managed to escape from the cabin and started threatening the crew with iron bars. They also demanded the ship’s master navigate the vessel close to the English coast, so they could jump ship and then swim ashore. The crew refused to meet their demands, then locked themselves inside the ship’s bridge and then contacted the Maritime & Coastguard Agency to explain their dramatic situation. Once the situation had been passed to the Ministry of Defence, they dispatched a four-man Special Force team from the Special Air Service base at Credenhill at 13.12 hours. 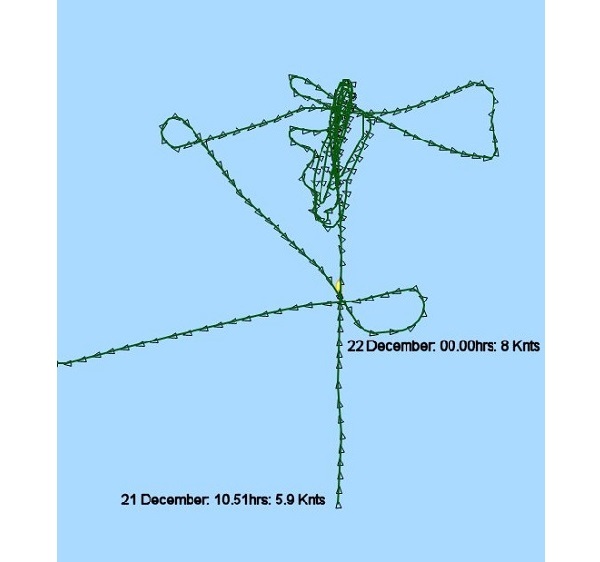 Using the call sign “Titan 21”, the crew flew their “Dauphine” helicopter at about 1,500 feet towards Dover Coastguard Operations Centre in Kent. After a briefing, the Dauphine returned to the SAS base, landing at 16.25, leaving just one Special Forces member in the Coastguard control room as the SF contact point and incident advisor. “Grande Tema”, call sign “IBDO” and MMSI 247341300, finally arrived in the Thames Estuary at 10.50 hours on the morning of 21 December. It then continued to circle for the rest of the day and evening whilst doing just some 5 knots (see route depicted below). During the evening, “ZZ379” and “ZZ529” – two Royal Navy Wildcat helicopters, call sign “Renegade 1 and 2”, and “ZJ132” and “ZJ135” – two Royal Navy Merlin helicopters (Renegade 3 and 4) transported Special Boat Service personnel from their base at Poole in Dorset towards the ship. The incident was brought to a successful ending during the night when the Special Boat Service members stormed the ship and captured the stowaways. The Grande Tema then headed toward Tilbury docks, were it moored up at 04.25 hours. The stowaways were then handed over to the Metropolitan Police, who arrested them and then detained them under the Immigration Act (see route depicted above). “Renegade Formation” then returned to their base at Yeovilton, the last one landing at 02.03 hours, after previously dropping off their SBS passengers at Poole, and following a successful and text-book mission. Author: Pat Carty is a NATO accredited journalist who covers military news, events, operations, and exercises; including special operations forces. He is a contributor to SOF News as well as several other military defense publications.